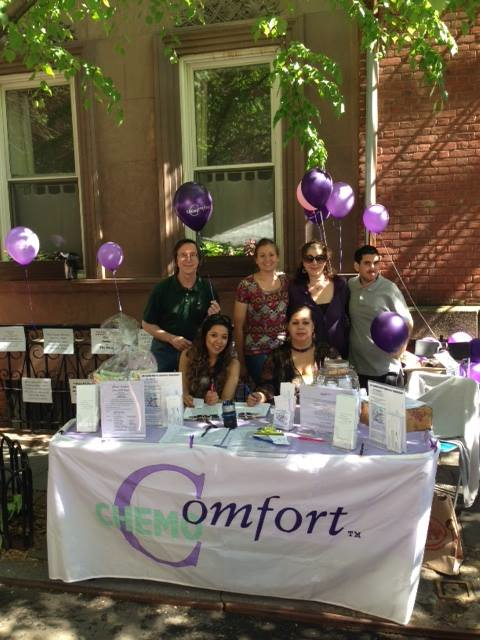 Chemo Comfort's concern is making life easier and more comfortable for the cancer patient undergoing chemotherapy. Chemo Comfort provides resources that enable cancer patients to take positive, comforting measures for themselves, thereby empowering patients at a time when so much feels out of their control. Chemo Comfort is a 501(c)3 organization dedicated to improving the quality of life of cancer patients undergoing chemotherapy. We are an all-volunteer organization. 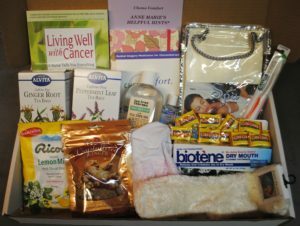 Chemo Comfort provides kits to cancer patients with products that help manage nausea, mouth sores, hair loss, and other side effects of chemotherapy.